2. Apply your transition colour, a matte skin tone/ taupe colour, in the crease. This will help the pink eyeshadow to blend easier later. 3. 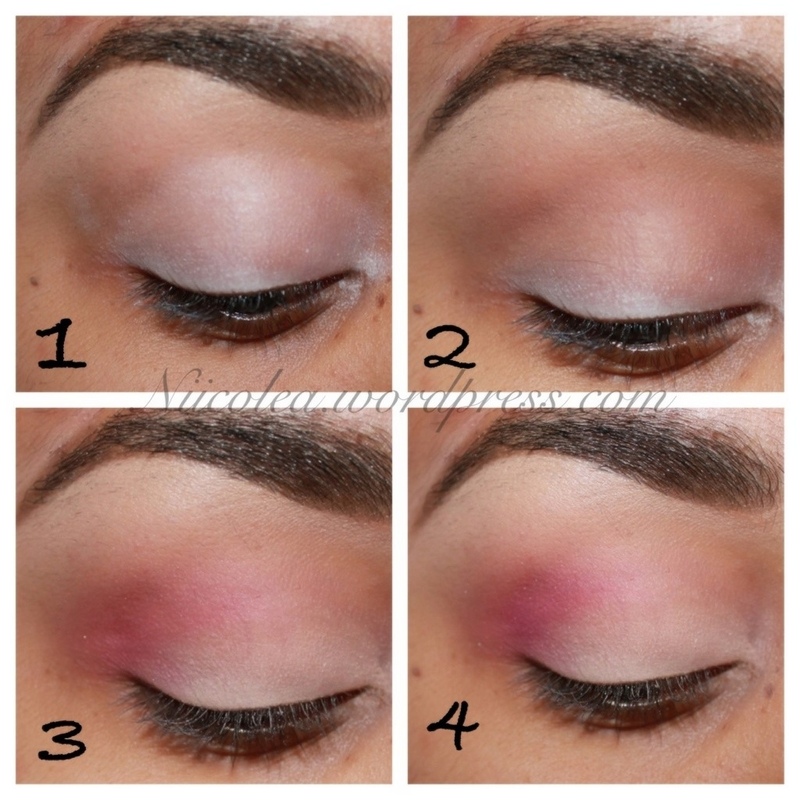 Pat a vanilla white eyeshadow on your eyelid. 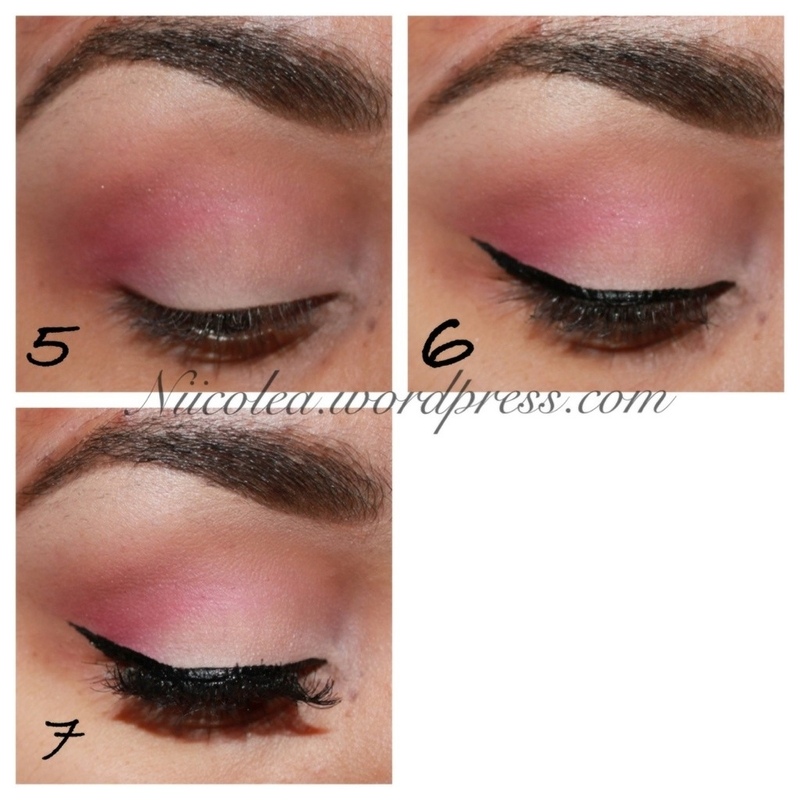 Add a pink eyeshadow to the outer corners of the eye and blend in towards the crease. 4. Apply a deeper pink colour to the outer V area. Blend well. 5. Reapply your transition colour to your crease. 7. Apply your false eyelashes or mascara. 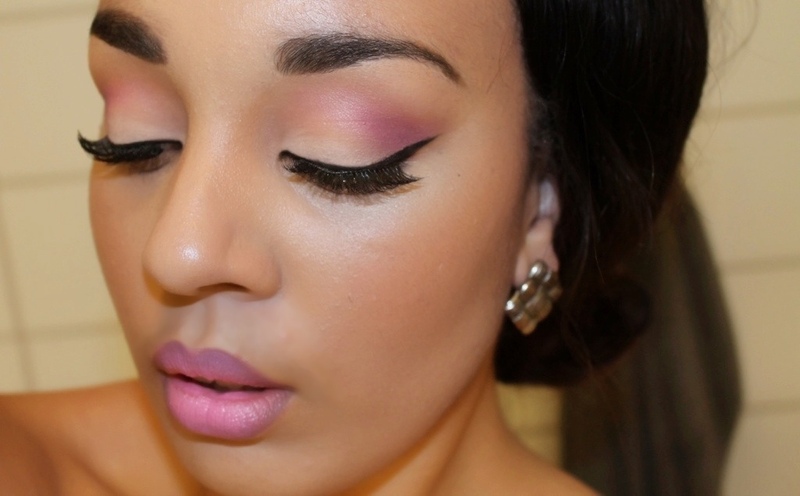 This look is super easy to achieve and it’s very beginner friendly. Hope you found this helpful and that you liked it. Feel free to request more looks that you want me to do! This looks fabulous on you – can’t wait to try! Thank you! I’d love to see how it looks on you! I love the lips here too!! !